THE other night I caught a stunningly good show by the West African musician Angelique Kidjo — a reimagining of Talking Heads’ classic 1980 album Remain in Light, itself inspired by West African rhythms and themes. I was having so much fun I failed to take notes, but sometimes guest columnist Steven Mirkin, a longtime music journalist, was paying more attention. Here is his review of Saturday night’s show. 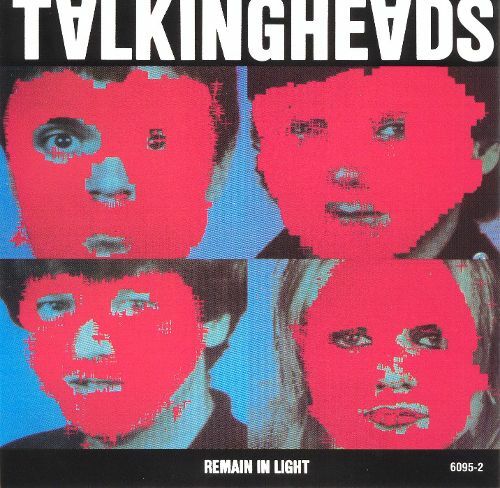 Remain in Light has never been my go-to Talking Heads album. I prefer More Songs About Buildings and Food or their debut,‘77, albums that drew from their CBGB repertoire, and sound more like the band I fell in love with in the mid-‘70s: angsty, skeletal funk and R&B in the service of songs that approached quotidian subjects from odd angles. They were smart, approachable, and funny. But Talking Heads were never a band to sit still; when they reached the limitations of their original minimalist art-rock, they moved on, adding former Modern Lover Jerry Harrison less than two years after the 1975 debut, expanding the band again in 1980 to perform the African-influenced music heard on Remain in Light and Speaking in Tongues. African music had been circulating through the downtown underground: the Minimalist work of Steve Reich, the albums compiled by John Storm Roberts for his Original Music label, and early tours of Fela Kuti and King Sunny Ade, who stunned audiences with their energy, invention, passion, and the sheer length of their shows, which could extend past three hours. Talking Heads were among the first rock bands to fully embrace it. Listening to Remain in Light today, you can still hear the excitement of the band figuring out a new way to make music. Instead of writing traditional songs, the band built the songs up from the grooves. Most of them are repeated single chord vamps with Byrne’s twitchy, strangled vocals floating on top, addingmelodies. It’s a nervous, worried album for nervous, worried times, and arguably the best melding of African and rock sounds. It’s such a complete meld, that when Angelique Kidjo, the Benin-born singer-songwriter that NPR called “Africa’s greatest living diva,” first heard the album in 1983, she was convinced they were an African band, and didn’t know their American roots until she saw them in concert. She was so impressed, that 35 years later, she covered the album in its entirety for her new album, also called Remain in Light, due out June 8th on Kravenworks Records. It’s also the centerpiece of her current tour, which played the Theater at the Ace Hotel Saturday night, the closing concert of CAP UCLA’s season. Hearing Kidjo and her bi-racial, intercontinental band play those songs was a pleasantly jarring experience, like reading a book originally written in English, translated to a foreign language, then re-translated back into English; it might not be exact, but new shadings and understandings arise. Kidjo’s versions honor the originals, but find new ways into them. A lyric such as “the world moves on a woman’s hips” (from “The Great Curve”) becomes, in Kidjo’s hands, a call for love and environmental action. Dominic James’ guitar, whose circular, repeated lines had the darting, mercurial quality of Highlife music, and the stunning drum and percussion tandem of names Edgardo Serka and Magatte Sow, who, even when the music slackened (especially during “The Overload,” the plodding song that ends the album on a note closer to Eno than Entebbe), locked onto the beats that power the music with an elegant ferocity. “Houses in Motion,” featuring guest Jerry Harrison and the Antibalas horns, turned even closer toward James Brown and the simmering stew of P-Funk. Kidjo didn’t the treat the album as a sacred text; instead of playing the album start to finish, followed by a set of her own material, her set interweaved all eight of the album songs with her own. It was a smart move, emphasizing where spaces where the music overlaps. The Heads’ “The Great Curve” rubbed shoulders with Kidjo’s cover of Miriam Makeba’s “Pati Pati,” and the ebullient “Afrika”—where Kidjo led the band into the aisles and danced with the audience—sounded right at home between to “Once In A Lifetime” and “Tumba,” a showcase for the percussionist as the crowd , invited on-stage to dance shook and stomped to his improvisations. For ninety minutes, the world outside, with a president who revels in stoking nationalist fears, fell to the wayside, replaced by music that ignored racial, political, or national differences to focus on what connects us; the result was a joyous, enthralling night of music. Big thanks for shining a light on Angélique Kidjo’s uplifting ‘Remain in Light’ redux! Nice one, Steve. And thanks to you, Scott, for running it.